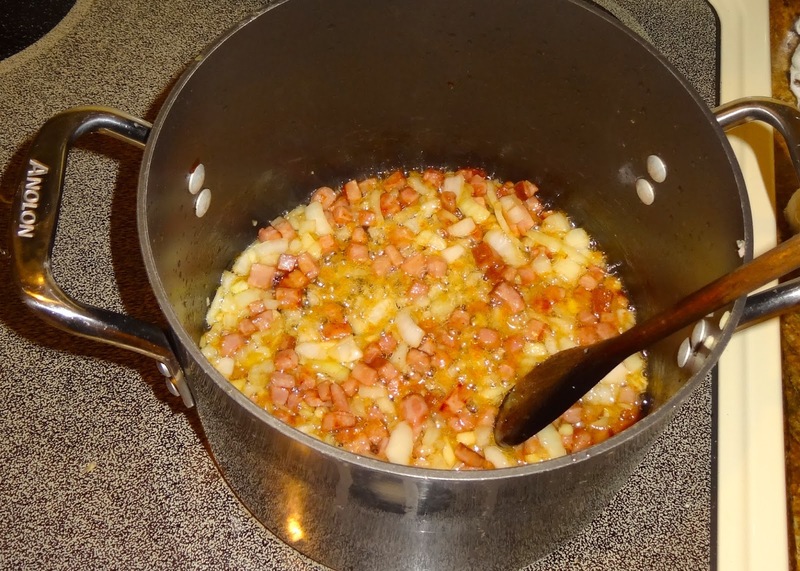 Cook the diced ham in a large pot over medium heat with the bacon grease for three minutes. 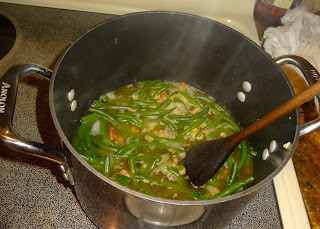 Add the onion and garlic and cook for about three minutes more. Add in the rest of the ingredients except for the cream and cook for about thirty minutes over medium heat, stirring occasionally, until the broth is almost completely absorbed. Remove from the heat and add the heavy cream. 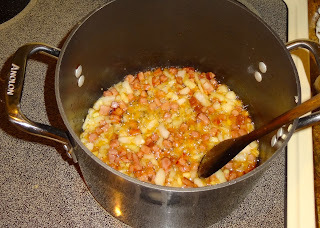 Smash a boiled potato and serve the beans and sauce over the top. You can add a pat of butter. You will probably want to add extra salt to taste. Enjoy!